With FoneTrac® app now having achieved patent status (US Patent #9,491,580), it’s a good time to summarize the app and its patent. 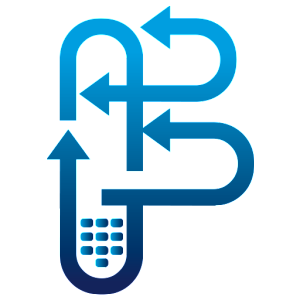 FoneTrac is a smartphone application that runs on iOS, Android and Windows platforms. FoneTrac enables users to Check-In on a regular schedule with their organizations and provides them with the ability to send Panic Alerts to summon immediate help to their location. In addition to our 24/7 Command Center, Panic Alerts can be sent to selected company personnel via text message or email. Organizations can monitor the date, time and location of their employee’s Check-Ins and Panic Alerts via the GlobalSecur map. If an employee does not send regular Check-Ins, they are reminded via a daily email sent automatically from GlobalSecur. There are often special safety considerations associated with travel, including those associated with a traveler becoming lost, either accidentally or as a result of criminal activity like kidnapping. For the security and peace of mind of the traveler, as well as a related organization (such as a family of the traveler, or business or government agency employing the traveler), it can be desirable to track the traveler’s position during travel. While technology to do this is readily available (e.g., by automatically receiving position reports from a mobile device carried by the traveler) it suffers from various shortcomings. For instance, where an organization may have a large number of travelers abroad at any given time, coordination and organization of the information may be insufficient to allow it to be usefully processed in a timely manner by the organization. Perhaps more fundamentally, there is often a conflict between a desire for privacy on the part of individual travelers, and a desire for information on the part the related organization. A traveler might therefore disable or leave behind his or her mobile device in the interests of privacy, despite the greater associated risk. Accordingly, there is a need for systems and methods to satisfactorily verify the location of traveling users without the need for automatic tracking of the users. In view of the foregoing, it is an object of the present invention to provide improved systems and methods for electronically verifying user location. According to embodiments of the present invention, computer-based systems and methods for verifying user location utilize at least one processor and memory configured with program instructions to store a plurality of user profiles associated with a plurality of users, each user profile including contact information for a mobile device, and to determine an applicable tracking policy for each of the plurality of users based upon at least one set of tracking rules, the applicable tracking policy including a reporting schedule. Receipt of location reports for the plurality of users from the plurality of mobile devices are monitored, and a status is periodically determined for each of the plurality of users based on the reporting frequency and timing of the receipt of location reports relative to the reporting schedule.